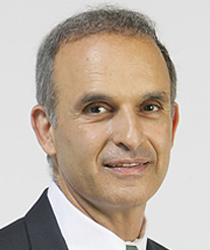 Joseph JaJa holds a joint appointment in the Department of Electrical and Computer Engineering, and the University of Maryland Institute for Advanced Computer Studies (UMIACS). He received his Ph.D. in Applied Mathematics from Harvard University in 1977. Dr. JaJa has published extensively in a number of areas including parallel and distributed computing, combinatorial optimization, algebraic complexity, VLSI architectures, machince learning, and data science. He has received numerous awards including the IEEE Fellow Award in 1996, the 1997 R&D Award for the development of software for tuning parallel programs, and the ACM Fellow Award in 2000, . He served on several editorial boards, and is currently serving on the advisory boards for several conferences and workshops. Best Article in 2016 for Environmental Research Letters. Best Paper Award, Scientific Visualization, 2012. Dr. JaJa's current research interests are in high performance computing, machine learning with applications to neuroscience, and data science. Chaitali Chakrabarti will be honored at the 64th Convocation of the Institute on July 20. A distinguished researcher and administrator, Professor Joseph JaJa will assume new role July 1. ECE professor JaJa on steering committee to pair experts with government and industry to maximize big data's positive impact. Winner of ECE's inaugural Distinguished Alumni Award to lead School of Computational Science and Engineering.